February is a cold month in most parts of the world, fortunately is warmed up with the fuzzy theme of love. Thinking of love, the tète-à-tète chair comes to mind. Typical and essential piece of décor for gardens and interiors, the tète-à-tète chair marked an era when a man could only court a woman by looking not by touching and under the vigilant eyes of her relatives. It was designed for coziness, close enough to look at each other in the eyes, occasional brushing elbows could slip out, but the armrest in the middle divided the two sexes keeping them at a certain distance. Actually, the chair didn’t serve only lovers. Gossipers also used it while sitting together. Sitting face-to-face was favorable to discretely passing in each other’s ears all the juicy details of someone else’s life, or of a person present in the room unaware of being the subject of interest. The tète-à-tète chair allowed women to sit comfortably with fashionable belled up dresses with cumbersome crinoline underneath. 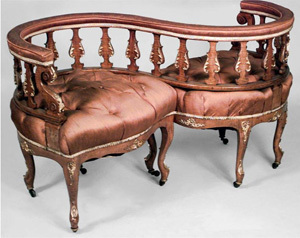 Fast forward a couple of centuries and we see some new versions of the tète-à-tète chair. I have to admit warmth and coziness are gone, but they are attractive in their own unique modernity. 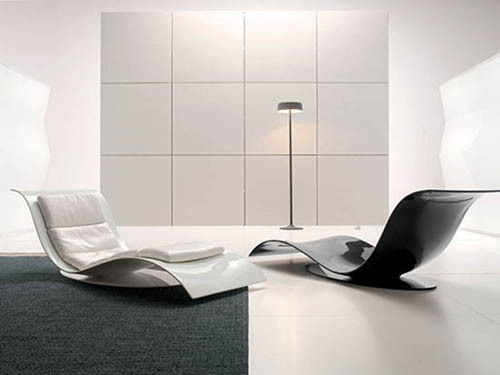 The black and white of the Eli-Fly Chair is very graphic, the lines are slim, sensuous and lonely. The two chairs can face each other at a distance, or can be set closer to make caressing a little easier. But it seems to me this is a type of chair the people in “need of their space” would buy. 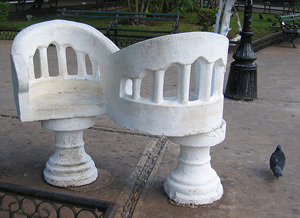 More modern versions of the tète-à-tète chair are also available for the garden in wrought iron or wood. I have seen a pretty set painted in blue in one of the historical establishments in California. They wrap them around trees, where people can relax with a book and courtship under a magnolia tree might be possible again. 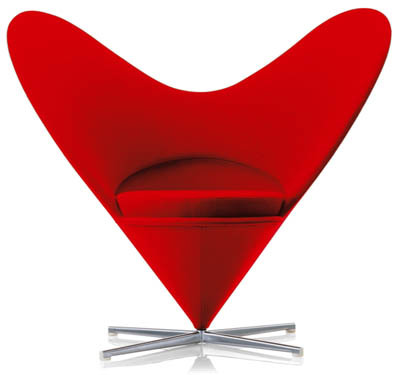 I absolutely adore the Heart Cone Chair designed by Verner Panton in 1959 and reissued by renowned furniture company Vitra. Price of the Heart Cone Chair: $3,670. Precious! It would fit beautifully in any décor and in any empty corner. Red is imposing, calls for attention, but this chairs brings passion. “Most people spend their lives in dreary beige conformity, mortally afraid of using colors,” Panton said, in the mid-1950s. I could not agree more. 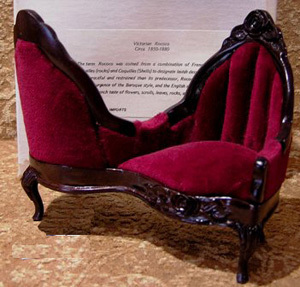 What does this chair have to do with the tète-à-tète chair of Victorian time? Nothing. The heart is already there, it needs two people to sit in each other’s lap and the tète-à-tète picture is complete. 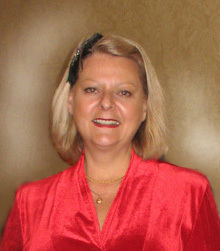 Valentina Cirasola has been a lifetime designer in fashion and interiors. Her extensive knowledge of colors and materials led her in both directions successfully. She is well-known for designing custom furniture. She cares to make spacious and functional pieces, but she doesn’t forget to introduce the element of surprise, sinuous lines, attractive shapes and color in the style fit for each of her special clients.